Should I buy this course? What has it taught you? I’m in EBA– should I still take this course? I want to answer ALL these questions and you know me.. I’m all about honesty and transparency so I’m going to give it to you straight. So I decided to send out an email so even if you weren’t one of the people to reach out with me but still had those same questions, here it is. This is an advanced course that teaches product creation, selling with affiliates, and AUTOMATING those sales through email marketing funnels. Let me break that down a little further. And that’s exactly what happened to me..
That’s what I made during launch week. The week after? $122. In fact, from May 20 to June 1st, I made a whole $219. Based on where you are in your blogging journey, that may or may not seem like a lot. I had just made 5 figures in 7 days so that was a real bummer for me. But.. the urgency was over and social media wasn’t buzzing. None of my new subscribers knew anything about my product… it was over. Then, I bought Six Figure Blogger, I implemented the strategy (it takes a LOT of work and time) but now I’m making a full time income on the sales of that one product alone. In fact, I’ve doubled what I made at my old nursing job. Let’s take July 20th 2018 – August 20th 2018 (my funnels were pretty much in place by then and people were starting to go through them). I had one main product and a tripwire. This is 9 months after my site launched and I was still only averaging about 4k sessions and 10-30 email sign ups per day– summer slump and a tight niche don’t mix well. I’m not usually comfortable talking about the numbers but I want to show you. 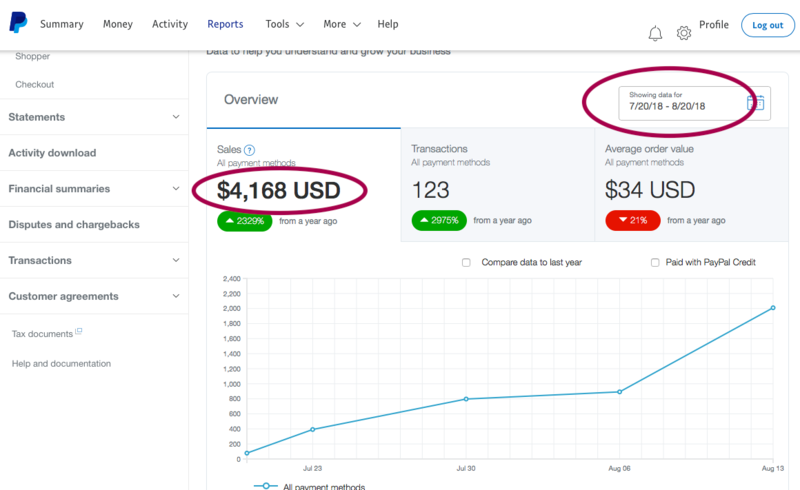 That a few weeks after implementing this method, I went from 3 sales in 10 days to this. I consider this an advanced level course, this is not for beginners and I would never tell you to buy something that will overwhelm you or that you aren’t ready for. I’d say, work on your foundation first. When you are ready for digital product creation then I’d say you’re ready OR if you have decent traffic and daily subscribers. For this method to really work you should be confident that you will get daily subscribers (either organically or through paid ads). You should also have your own product or affiliate products related to your topic. You do NOT need to have your own product for this method to work. They show you how to use this method with affiliate products as well. I can honestly say that I’ve been there and done that with a LOT of blogging courses. I have bought many courses that taught me nothing new and I’ve bought courses that I learned a lot from. I’ve been totally “coursed-out” and I’ve been in seasons where I feel like a course-hoarder. So… yes. It’s a very good course. I’ve heard of automating through funnels but this showed me exactly how to implement it. This course wasn’t theory, it wasn’t ideas that left me confused. It was… “this this exactly what we do and how we do it”, “first you do this” “next, say this”, “now do this” etc etc. The only thing I felt was lacking was actually launching a product (unless you want to launch via flash sale because it does cover that– but not a full blown launch with pre-launch content and campaigns, etc). 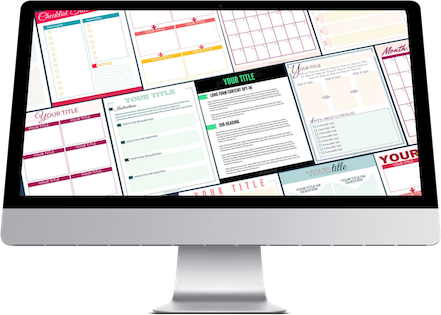 I loved the email templates that gave me a jumping off point and I even picked up some game-changing product creation strategies. The first thing I implemented was the sales page sequence. I re-did my sales page based on the way it was laid out in the course (before I even set up the funnels at all) and I went from those 3 sales in 10 days to about 1 sale every other day. Again, the only thing I had changed at that point was the sales page. I was seriously impressed and really wondered what my initial launch would have been like if my sales page was built via the Six Figure Blogger method. I specifically chose this time frame because my funnels were finally set up AND my last client project ended on July 13th. This is ALL blogging income (NO client work). I was honestly terrified. This was truly a moment that made me a little sick to my stomach because a LOT of my income early on was based on client work but I knew if I just had the time to get these funnels set up, my business would take off. I am not a strategic person, I rely on the brilliance of others peoples success to give me the strategies to grow my blog. Sometimes I learn many strategies and implement them on my own and then take what works from all those strategies (and forget what doesn’t) and combine them into my own strategy. This has been the first strategy I’ve implemented that worked exactly how I expected it would… no tweaking involved. This has taken me from working insane hours to making a full-time income on 2-4 hours per day. This has allowed me to set a system in place and build on it until I am a Six Figure Blogger. I would absolutely still recommend this course. EBA worked well for me but only by supplementing certain units with other deeper dive courses (like List Love during the list building unit). Yes! That I didn’t have this course BEFORE my product launch! I would have had a higher converting sales page and I would have seamlessly been able to go from launch to funnel so that my sales didn’t suffer while I worked to implement the strategy. I believe in this course SO MUCH, I truly believe in the forward motion this strategy can give your blog! Click here to check out Six Figure Blogger!